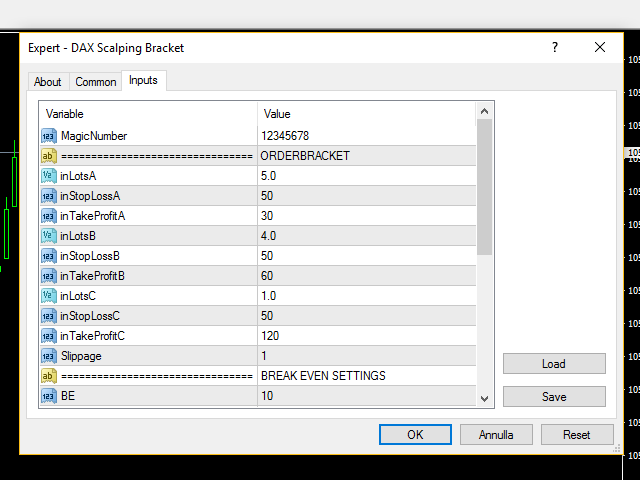 Dax Scalping Bracket is a new generation Expert Advisor Panel. This a very professional tool for SCALPING. 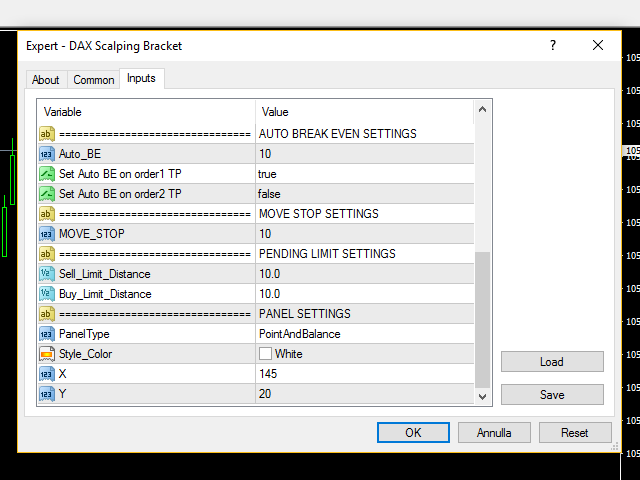 The usability makes this tool an excellent ally for FAST operations of SCALPING on Index instruments and Forex market. The main feature of this EA is the ability to open multiple operations with a single click. Each position is autonomous and you can set different take profit and stop loss for each position. A great tool for those who make scalping professionally distributing their risk on different positions and different take profit. 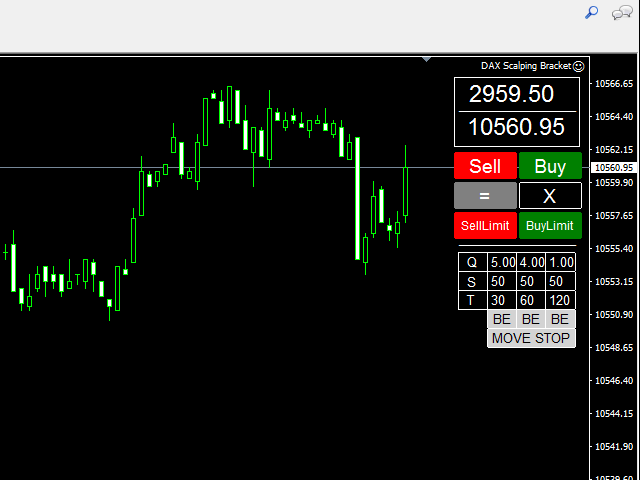 The graphic panel is very basic to simplify its use and to be able to trading with ultra quick execution. 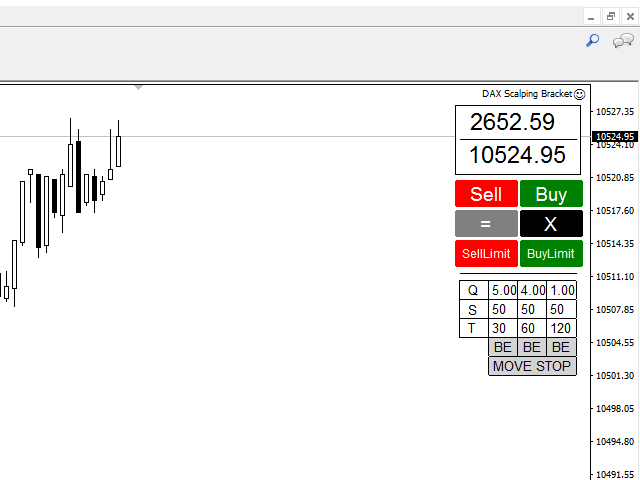 We are sure you will appreciate this tool that give a new level of power to your MT4. We recommend that you try a demo to understand what kind of decimals using your broker to set your input values ​​and good trading. This panel can be used also in TESTER STRATEGY on DEMO version.